Are you finding that your curly hair is next to impossible to dry quickly and style? It can be a frustrating process for sure when you go to do it every day. Most people do not realize that the problem may lay in the hair dryer that you are using. It takes a lot of high heat to tame tough and stubborn curly hair and that is what you get with this hair dryer from Elchim. Let’s take a closer look at it to see why so many people who have curly choose this hair dryer over the many others that are available. 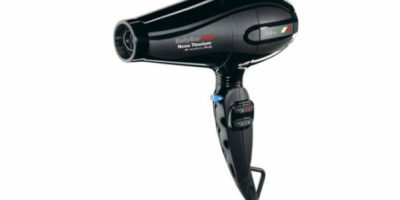 If you want a hair dryer with reputable Italian engineering and that has a quiet, long-life motor then this may be the exact hair dryer you need. These are two outstanding qualities this Elchim Classic dryer has. This hair dryer also has a unique nose design. It narrows significantly at the end of it to really help increase its air flow. The force of air coming out of it has been measured to be over 1400 liters per minute. That is enough to help dry any hair type very quickly. Other nice features on this hair dryer include its generous size 9-foot power cord, its included high-precision concentrator attachment, and its removable lint filter. It’s no secret as we mentioned that heat is the best way to break the strong hydrogen bonds That curly hair has so you can dry and style it easier. 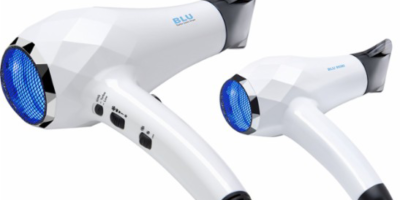 With 1875 watts of drying power this Elchim blow dryer will bring some serious heat. In order to fine tune, it heats to just the way your curly hair likes it you have several different settings you can choose. It has settings for super high, medium and low heat which are really nice to have. There are also two different fan motor speeds to control the amount of airflow that comes out of it. These setting choices make the Elchim Classic 2001 Dryer very versatile and able to dry and style a variety of different types of hair. Although on low heat and the highest fan setting it does run to the cool side it is still not the same as having a handy cool shot button. Cool shot buttons do a great job of helping lock curly hair in place after it has been heated and styled. It also has no negative ion infusion which helps hair retain its moisture better when it’s being dried. 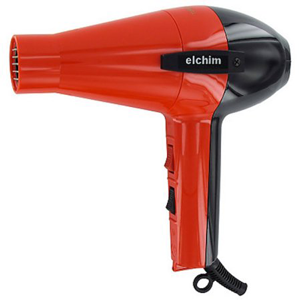 Elchim also makes a great ‘cocoon style’ diffuser that fits this hair dryer. The bad thing about that is this nice diffuser is sold separately. At the price, this hair dryer sells for it really should be included in the package for free. Despite the fact this hair dryer from Elchim has no cool shot button or negative ion technology; it’s still an extremely versatile hair dryer that works well on curly hair. You can count on its 1400 liters per minute airflow and high styling heat to be there every time you go to use it. That means it will, dry your curly hair quickly and help make it easier to style too. The Elchim Classic 2001 Dryer is definitely a hair dryer that merits serious consideration if you are buying one that you will use on your curly hair.